Don’t Forget to Bring Your Flair to GABF! 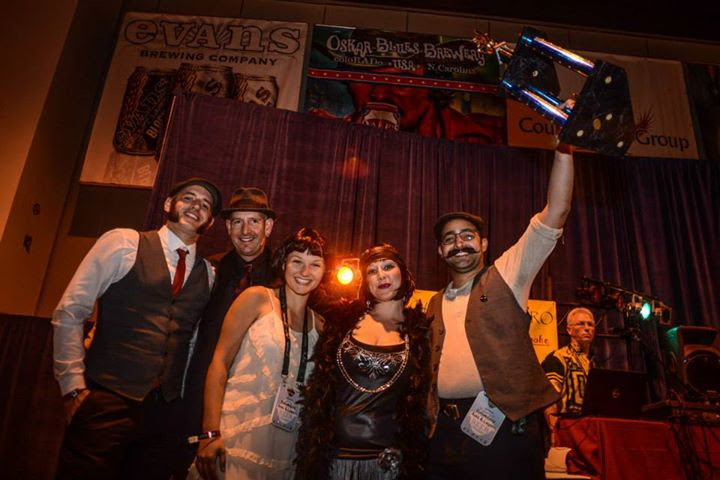 Speakeasy, a San Francisco brewery, threw down at GABF 2013 and won the Festival Flair Award for Best Brewery Booth. The craft beer community has no shortage of style and creativity, not to mention healthy amounts of weird and whimsical, and for the 12th year in a row we’ll be recognizing those GABF breweries and attendees who bring an exceptional degree of flair to the festival floor.On Friday at 8:30 pm at the karaoke stage, we will present Festival Flair Awards for Best Decorated Booth and Best Attendee Costume. So don’t leave your flair at home! Brewery winners will get free festival entry to GABF 2015, and the attendee costume winner will get a pair of tickets to GABF 2015 session of their choosing! In short, there is no such thing as “taking your costume too far,” so get out there and dress to impress!